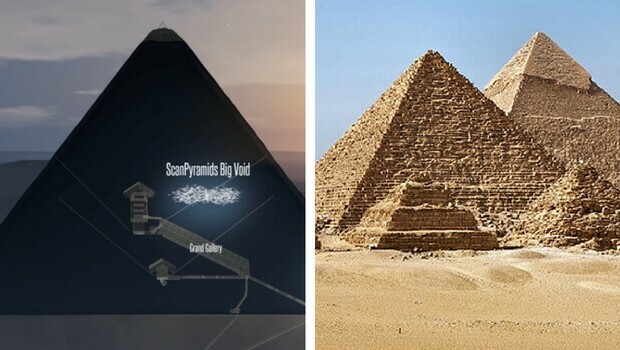 Hasn’t it ever occurred to you that the only of the 7 ancient wonders of the world that is still standing, the Great Pyramid of Giza, is still much of a mystery to us? It was built some 4,5000 years ago during the Fourth Dynasty of the Egypt’s Old Kingdom as a tomb for pharaoh Khufu and his wife. Or at least that’s what we know. It is 4,500-year-old, still standing, almost perfectly preserved, intact. Its base spreads across more than 13 acres and it was originally 146 feet tall. It was built using about 2.3 million limestone blocks. These blocks had to be cut exactly to size, transported and lifted into place. How did they do that 45 centuries ago? 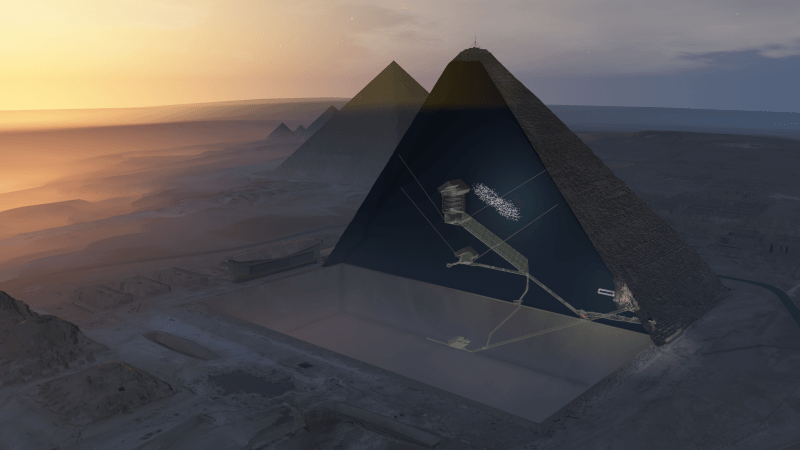 And the funny thing is, we still don’t know exactly and the Great Pyramid of Giza still shields its mysteries from us. 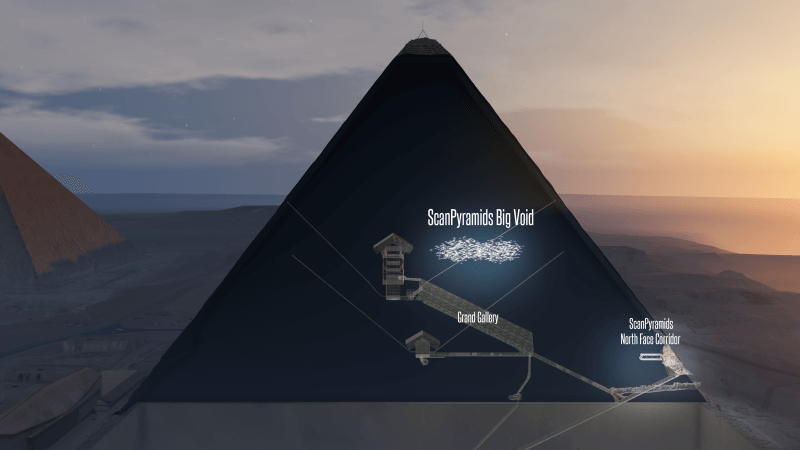 Lately, a group of archaeologists discovered a mysterious, inaccessible void into the pyramid and they don’t really know its use. 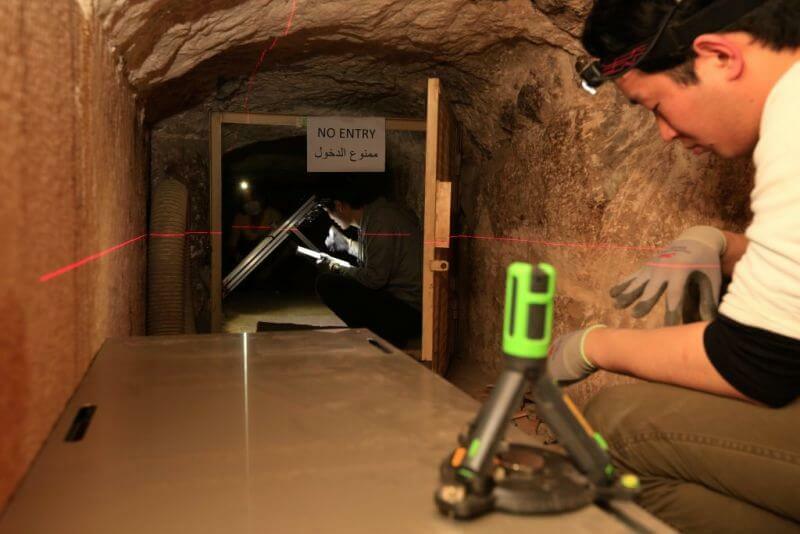 Scientists won’t rush to conclude that it is a hidden chamber, but they are convinced it is a deliberate architectural characteristic of the pyramid. They still don’t know what’s inside, it could hide artifacts and funeral items or it could just be an empty void. 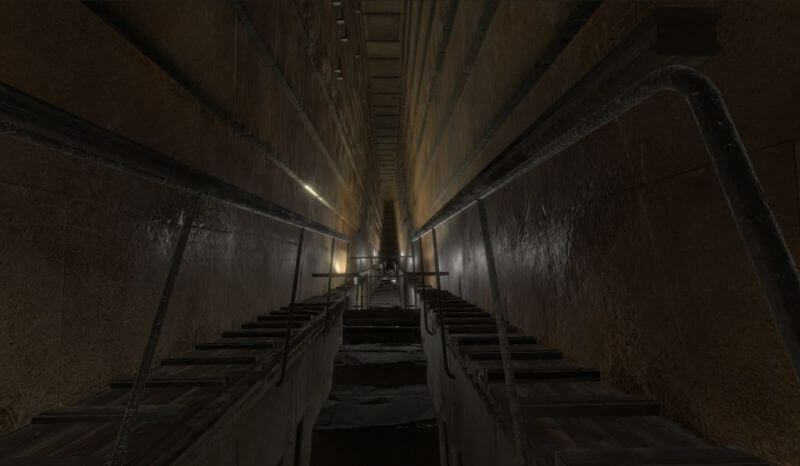 The void is located above the Great Gallery, it has about 21 meters above ground level and at least 100 feet in length. writes the researchers in the study. 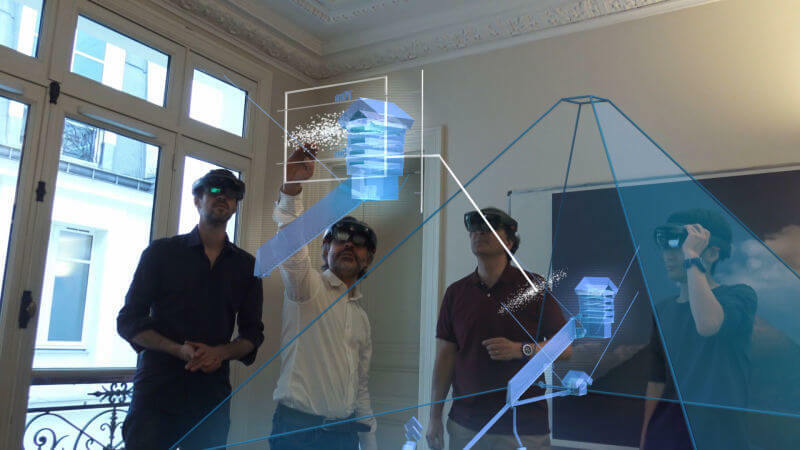 Whatever it is, the striking idea remains: some 4,500 years ago, people had a technology and technique that created something grand which we can’t understand today. Are we smarter than 4,500 years ago? Here is another angle of the new void discovered, the angle of the void might be different from what it is shown here.